As a new year begins, we are proud to announce the overwhelming support and commitment of our MTCares initiatives throughout 2018. MTCares is a company-wide initiative that actively organizes community fundraising and/or volunteer efforts on behalf of Millennium Trust. In 2018, through a combination of gifts, time and financial contributions, our employees have demonstrated our Do Right and Collaborate values by making a significant impact in nearly 40 organizations across the world and raising tens of thousands of dollars to support the causes that matter most to them. The main priorities of MTCares are employee-decided, meaning that employees collectively drive this initiative. The priorities addressed in 2018 included disaster relief, community development, the environment, health and wellness, and culture and arts. Spanning the globe from Chicago to Africa, the organizations that match these priorities have received above and beyond support to further their missions of helping those in need. When we launched the 2018 program, we asked our employees to suggest organizations that MTCares should support. A total of 38 nonprofits and charities around the world were named, including Play Smart Literacy, Chicago Pet Rescue, Volunteers of America, Cycle for Survival, Ronald McDonald House Charities, and the American Foundation for Suicide Prevention to name a few. MTCares made such a difference in our commitment to giving and allowed us to see what others in the company care about. 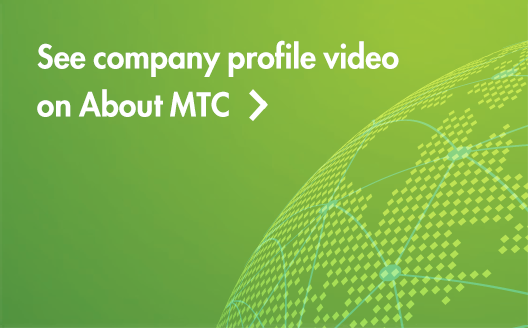 Not only does MTCares allow employees to take ownership in the causes that are dear to their hearts, it also gives employees the opportunity to make a difference on a global scale. Millennium Trust employee, Fred Yeboah, found support through MTCares to collect much needed shoes for children in his home country through his own charity, Soles of Hope. Born in Ghana, Fred knows first-hand what a difference kindness and donations as small as a pair of shoes can make in the daily lives of those living in a region like Northern Ghana, where there is scarce resources and lack of basic infrastructure. “We received hundreds of pairs of shoes from the MTCares program. We are a small organization, and these donations go a long way in helping those in impoverished communities get even the most basic of necessities,” said Fred. As we look forward to 2019, we have even bigger plans for MTCares. We are excited to introduce a set of anchor charities: Aspire, Soles of Hope, Poised for Success, Wellness House and Brain Arts Production. We will continue to keep MTCares employee-focused and aim to increase participation and support. Thank you to our entire organization for making 2018 such a great success. Click on the link to check out our MTCares 2018 Year in Review fact sheet, and follow us on Twitter and LinkedIn to stay up-to-date in 2019. The material in this blog is presented for informational purposes only. Millennium Trust Company performs the duties of a directed custodian, and as such does not sell investments or provide investment, legal or tax advice.